In this era of flyweight amplifiers, Musical Fidelity’s M6si ($2999 USD) is a middleweight. We often assume that quality is directly proportional to mass, but in this case that might actually be true. The M6si weighs 36.5 pounds and measures 17.2”W x 4.9”H x 15.6”D. The build quality is high -- nothing feels insubstantial. Even the top and rear panels feel as if made of heavier-gauge metals than the norm. The sample I received was black with silver accents; it’s also available in all silver. The M6si comes double-boxed and wrapped in a nice fabric bag, with white gloves for handling and setup, to prevent the transfer of skin oils to the nicely finished exterior. The M6si has enough subtle details to make for a very nice appearance. Like its controls, the M6si’s faceplate is slightly convex, bulging slightly at the center, where it’s a bit over 0.5” thick. At its center is a large, silver volume dial about 2.3” in diameter, and notched to indicate the volume setting. Along a line tangential to the bottom of the dial are eight small silver pushbuttons, four on each side. From left to right, these are: Power, CD, USB, Phono, Tuner, Aux 1/HT, Aux 2, and Balanced. To the right of the Balanced button is the IR receiver for the remote control. At top left are the model name and company logo. Heatsinks running from front to rear act as the side panels, the topmost rail nicely scalloped. On the top panel are three rows of ventilations slots, and the M6si sits on silver feet. The rear panel is where all the fun is. The top half contains two pairs of easy-to-use, plastic-over-metal speaker binding posts. Between these are a heavy-duty ground post and trigger inputs and outputs. In the bottom half are a USB input for the digital-to-analog converter, a pair of balanced inputs (XLR), a phono input switchable between settings for moving-magnet and moving-coil cartridges, four pairs of line-level inputs (RCA), pairs of line outs and pre outs (all RCA), and the IEC power inlet. The left-channel binding posts are directly over one of the balanced input jacks, and the right-channel posts are directly over the pre-out RCA jacks. I know that there are often limitations of space in audio electronics, but manufacturers, please: Stop putting speaker binding posts directly over input jacks. I used the M6si’s balanced inputs for some testing, and had trouble routing the input interconnects and speaker cables without stressing the connections. Speaker cables with spades or bare wires hang down directly in front of the other jacks, or must be run into the tops of the posts -- your only choices seem to be to put stress on something or make the installation look ugly. I generally set up for direct digital connection via USB from my Mac computers, or balanced connection from my reference D/A converter, a Benchmark DAC2 HGC. Once everything was connected, all of my interaction with the M6si was via the supplied remote control -- a large device of typical design with a multitude of buttons for controlling everything Musical Fidelity currently makes. As usual, this type of plastic remote didn’t live up to the M6si’s level of build quality. At musicalfidelity.com, Musical Fidelity indicates that the M6si’s USB port will accept signals of resolutions up through 24-bit/96kHz. This was a subtle problem for me, as I usually make most of my connections via the optical ports offered by many DACs. Make sure you’re able to connect your DAC to the M6si via USB, as that’s your only option. 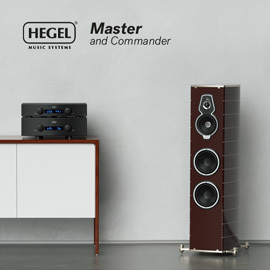 Musical Fidelity claims for the M6si a power output of 220Wpc into 8 ohms, with a total harmonic distortion plus noise of less than 0.007%, 20Hz-20kHz. The claimed frequency response is 10Hz-20kHz, +0/-0.1dB. I ran the M6si in the background for some time, to get accustomed to its sound before doing critical listening. 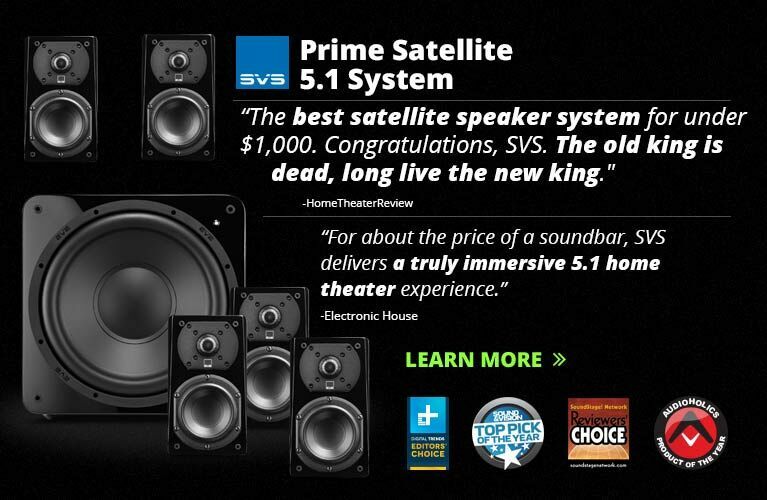 Its sound reminded me of that of its big brother, the M6 500i, reviewed on SoundStage! Hi-Fi in August 2012 by my brother, Hans. When I felt that the M6si was fully broken in, I estimated that it would excel at small-scale choral and orchestral pieces because, as I’d gone about my life with the system providing background music, I’d often been drawn in by solo instruments or small instrumental groups. Life would then be put on hold so that I could listen more actively. A Little Princess (1995) is a melancholic film about an upper-class child who sees the depths of humanity when changed circumstances force her to live in a boarding house, disconnected from her family. The film’s original score, by Patrick Doyle (16-bit/44.1kHz AIFF, Varèse Sarabande), supports the film fabulously. One character, an Indian neighbor who brings a magical quality to the story, is represented by the opening track, “Ramayana: A Morning Raga,” which introduces many of the score’s styles and subtleties. It’s not a big piece, and each instrument stands very much on its own. Tabla and sitar are introduced immediately, followed by closely miked flute, supported by small chimes. The sound of the flute was rendered very well by the Musical Fidelity, and included the sound of rushing air associated with not quite hitting a note full center, a technique that is often part of Indian-styled music. Most of this track felt as if planned to hit the sweet spot of each instrument as it was introduced. 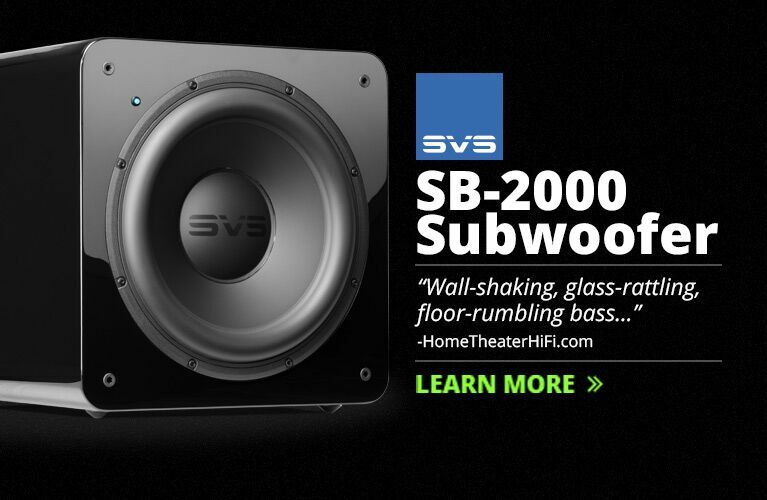 As a result, the sound was sweet and comfortable, with no harsh upper-end glare or boomy bottom. Doyle’s music for A Little Princess varies widely, from quiet solo and lightly supported main melodies to several sections for full orchestra. In “The Miss Minchin School for Girls,” a harp flows lightly through the air above masses of supporting strings that never overwhelm the soloist. I enjoyed this soundtrack immensely through the M6si -- it never got in the way of the individual instruments. The choral sections are all sung by a children’s choir, which never sounded shrill, as can happen with some gear. The grouped strings and voices in “Crewe and the Soldier” were never hard or sharp, and didn’t produce the winces I usually give equipment or recordings that are very bright at the top end. Throughout the soundtrack, the sizes of instrumental images vary with the miking distance, but the soundstages thrown by the M6si largely remained between my speakers. Figuring that middle-size groups -- and, even more, solo flute -- would sound good through the M6si, I played some selections from The Best of Jean-Pierre Rampal (16/44.1 AIFF, Erato). First was something of small scale: the Siciliano of J.S. Bach’s Flute Sonata in E-flat, BWV1031, a quiet piece with a sedate pace. The flute can be glaring, but was nicely projected and well balanced by the harpsichord and plucked strings. There was a softness to the sound through the M6si that suggested a luxurious space with heavy carpets, curtains, couches, and little room reverberation. The sound was not analytical, but felt as if there was just enough sharpness to avoid sounding fat. As with the Patrick Doyle pieces before it, the Bach sonata rendered well the sound of the soloist, without ever allowing it to be overwhelmed by the supporting instruments. Again, the soundstage remained mainly between the speakers, and the reproduction of the music felt neutral to slightly laid-back. I moved on to the Presto of Handel’s Flute Concerto in F, Op.4 No.5, HWV 293, to hear how the M6si would handle a bigger supporting cast. The soloist could still be heard independently, above the orchestra, but with a very nice integration of their sounds. I was able to pick and choose instruments out of the complex work with little effort. The sharpness that a lot of supporting strings can have sounded slightly rolled off, but I think that was to the benefit of the system’s performance here. I have found that a highly analytical reproduction of the highs can sound a bit grating, depending on the recording. The M6si struck a fine balance between resolution and smoothness. I then listened to Robert Shaw directing the Atlanta Symphony Orchestra and Chorus in the Polovtsian Dances, from Borodin’s Prince Igor (16/44.1 AIFF, Telarc). The oboe and piccolo solos about a third of the way through struck me as sounding pleasant without being particularly strident. When the orchestra and chorus crescendo to the top of this track’s dynamic range, I loved that I did not find cringe in anticipation of over-the-top transients of drums, voices, and cymbals. The chorus felt as if it were located well behind the orchestra, but its sound was never overwhelmed by the instrumentalists. The soundstage was wider though no deeper than before. The cymbal crash that ends this recording, neither under- nor overwhelming, proved to me how balanced the M6si’s sound was: critical but not raw, musical without being fat or bloated. Hearing a polished chorus and orchestra left me wanting to shift into more aggressive mode. I pulled out “Du Hast,” from Rammstein’s Live Aus Berlin (16/44.1 AIFF, Slash/Mercury). For a live performance, it has a surprisingly good balance of sound and appears to be well mixed. The M6si triumphed over this challenge as well. Deep bass from the stage was surprisingly clear, for a rock show. The band’s wild sound was not limited in any way. Each guitar, bass, drum, and keyboard had its space on the soundstage, but was still appropriately connected with the rest of the players. The M6si could play loud. Really loud. In my space, it never fell short when powering Rammstein, even at concert volume levels. It was easily able to push the big bass drivers of my Bowers & Wilkins 801 Series 2 speakers to long excursions, yet was still clearly in control of everything. Other integrated amplifiers haven’t been as successful at projecting this band with force while retaining sonic order. That Rammstein performance drove me to another that must be played at a thunderous level: “Perpetual,” from VNV Nation’s Reformation 01 (16/44.1 AIFF, Anachron Sounds). In some ways, VNVN’s precise music, created almost wholly electronically, is fairly easy to reproduce -- the sounds don’t have anywhere near the nuances or complexities of those produced by analog instruments. On the other hand, that purity of electronic signal can be difficult to play at high volumes if the system is sloppy or underpowered. The M6si wasn’t sloppy with anything. At all times, it retained full control over Ronan Harris’s raspy voice, and the deep bass was nicely balanced with the midrange. High-pitched synthesizer notes can sound shrill through more analytical systems. They were not too sharp here. 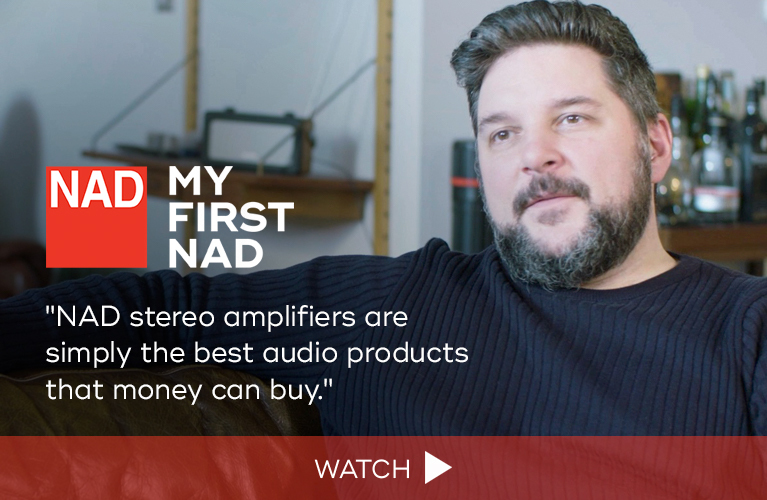 I was fortunate to still have on hand, to compare with the Musical Fidelity M6si, the Simaudio Moon Neo 340i integrated amplifier-DAC. The Neo 340i is more analytical than the M6si, and can be a bit overbearing with trebly music. In the $5450 configuration I reviewed, it is also significantly more expensive than the $2999 M6si. With most of the recordings I played, the Simaudio sounded more precise than the M6si, presenting what sounded like more exact representations of aural images, especially with music weighted toward the top end. As a result, it had the more open sound. Voices in the Rammstein and Borodin tracks sounded more realistic. Subtle sounds of struck cymbals had more of the expected hiss through the Simaudio. Overall, the M6si sounded more uniformly pleasant; the Moon 340i was more uniformly accurate. I also used both the Simaudio and the Musical Fidelity with the Benchmark DAC connected to their analog inputs. In both cases, the Benchmark DAC opened up the soundstage and increased the clarity -- and notably so for the M6si. 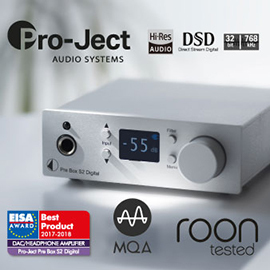 The two components, when used strictly as integrated amplifiers, were much closer to each other in sound with the Benchmark used as a DAC than they were with their own DACs in circuit. When I removed the Benchmark DAC, I found the Simaudio with its DAC closer to it in sound quality. The Musical Fidelity with its DAC produced a smaller, flatter soundstage, and lower resolution. The Musical Fidelity M6si’s features are useful -- with its full complement of analog inputs and USB digital input, it’s all that many users will ever need. 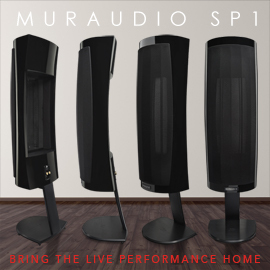 The M6si’s sound never drew attention to itself, handling all types of music with aplomb, and its performance was evenhanded at any listening level. I enjoyed listening to it because its sound produced no stress in me. That’s how the experience of listening to music should feel, but often doesn't. The M6si struck just the right balance.